Love Crashes into "Witch City"
Let me set the scene for you. 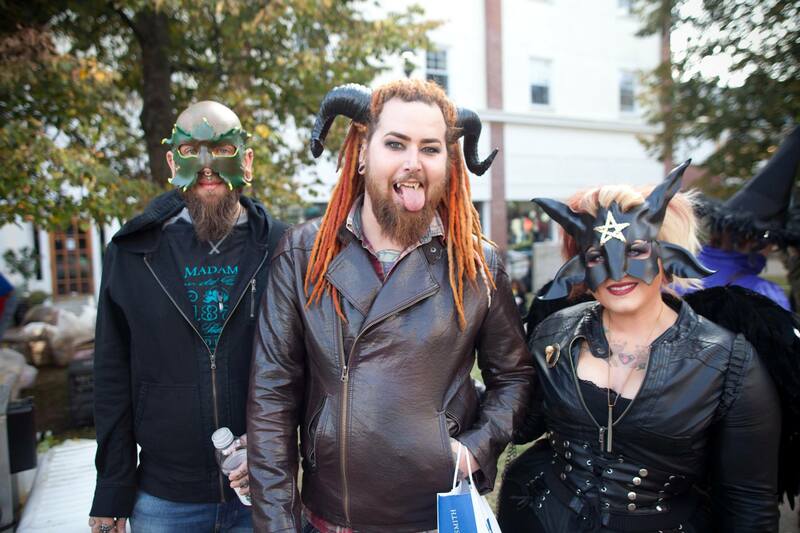 In this old New England town and these narrow cobble stone streets of Salem Massachusetts, a town globally known for it’s history of religious hatred and persecution of the pagan community, is hosted the largest Halloween party in the world. Over 10% of the population of Salem now registers as pagan and within it’s city limits is the worlds largest witch craft university, training over 150k students around the world, it’s even known as “Witch City”. On Halloween night 120k people from around the world join the local pagan community in open air seances, magic circles, necromanteum, and other pagan rituals. The very mention of Salem and witches sends chills down the spine of every believer in the region. Yet this is where you will find us. I fell in love with Salem when I was 18 and found myself in the city on Halloween night. On my hands and knees and my tears soaking into the pavement, overwhelmed by love, my heart has forever been with these people. We began calling our friends to see how long we could pray for the city on Halloween Weekend. We spent some years with 15-20 of us in the basement of a house in Salem crying out for the city. Even when hurricanes and snow storms thrashed New England you would still find us in any space we could find for the weekend. 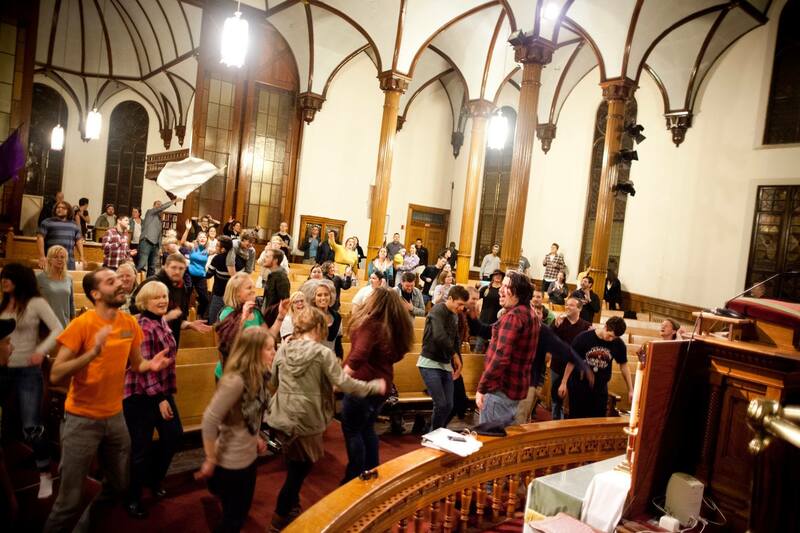 Eleven years later, this past weekend, we hosted 60 hours of the most wild, glory filled worship and commissioned 175 people from around the country to the streets of Salem where we personally ministered to around 500 people and witnessed 100-150 miracles on the streets. Blind eyes opened, deaf ears heard, metal pins disappeared from bodies, deteriorating bones were restored, canes and wheelchairs became useless. Dozens of lost sons and daughters received Jesus into their hearts. The lines for prophetic ministry were consistently 50 people long and people waited at times over an hour to hear from God. The confused and broken received a hope and life injection that scattered their darkness! I could tell endless stories, but there is one that sums up this weekend. I was checking in on our teams scattered across the city on Halloween night. One of our teams was discouraged because they had prayed for a someone and didn’t witness a healing. So they asked if I could help on the next one. Within minutes a young lady came up to them and shared a story with them that I couldn’t hear. Her name was Angela, she was from China and this was her first time to America. All they told me was that the left side of her face had no feeling, it was completely numb. Only the bones of her face would hurt if she pushed hard enough. After asking for permission, I gently placed my hand on her cheek, in that moment I felt like a father placing his hands on his daughter cheek. I looked into her eyes and all I heard was the Lord say “I make all things new!”. I declared this over her. I asked her if she could feel anything and she didn't respond. I asked again and tears began to run down her cheek. Then the Lord said “Not just on the outside, but the inside too! He is making your heart new, like nothing ever happened to you before.” With tears running down her face she began to exclaim “I believe in Jesus! I believe in Jesus!”. What I didn’t know, was that Angela had been the victim of a violent crime, she was violently beaten and dragged, causing so much damage to her face that she had lost all feeling. Imagine the fear, the hurt, and emotional pain. But Jesus restored that and healed her heart! ‘Who are you, O great mountain? Before Zerubbabel you shall become a plain! This…. sums up Salem on Halloween. Everyone comes wearing masks, hiding who they really are. But in reality their are wearing their brokenness on their sleeve. They came and lifted sounds of sin and rebellion, and God answered their cries of brokenness with an answer of Love. His answer was 175 burning hearts of love that embraced them, cried with them, and spoke life to them. The Bullhorn preachers on the streets shouted “SINNERS, SINNERS” and hearts of rebellion, like immovable mountains, stood in opposition to the gospel but these burning lovers of Jesus shouted “GRACE GRACE!” and hearts were melted and lives were set free! Despite contrary belief, Salem is the easiest place in the world to minister the gospel. It’s so hard to not love people so well in the face of their obvious brokenness, that is so easily scene in this environment. But if you were to look past the veil of normalcy in our homes and cities, look past the veil of every day life, you would see the obvious brokenness all around us. We don’t need a festival, we need eyes to see. Our cities, our towns, and homes have no need for more bull horn preachers, they need priests that shout “GRACE GRACE”. They need burners with hearts on fire with Love. They need to be embraced. Please friends…. Renew your devotion to your city. Be faithful. Love hard. Shout GRACE to to the obstacles and God will establish His Kingdom where there once was mountains.